Introduction to "Young Goodman Brown"
Assignment: How did Puritanism influence early Americans' fears and beliefs in the supernatural? Read intro to "One of Windsor"
Assignment: Young Goodman Brown by Nathaniel Hawthorne, with a partner, answer questions and respond to Imagery assignment. Assign: Begin reading at home Legends of the Lost Causes, recording gothic elements. Gothic elements: setting, the uncanny, charms, the supernatural. To be finished at home. Assignment: The Black Cat by Edgar Allan Poe, answer questions, and do journal entry. Assignment: American Gothic Insanity in "The Black Cat" and "Time and Again": How do the authors use language to depict the character's madness? Female Abjection, Alienation, and the Double in American Gothic Lit. Assignment 4: Read The Outsider by H. P. Lovecraft, answer questions, and do journal entry. Assignment 5: Read The Yellow Wallpaper by Charlotte Perkins Gillman and Why I Wrote the Yellow Wallpaper. Assignment 8: Read Replacements by Lisa Tuttle, answer questions, and do journal entry. Assignment: Young Goodman Brown by Nathaniel Hawthorne, answer questions, and do journal entry. Assignment: Read Time and Again by D'J Pancake, answer questions, and do journal entry. Assignment: American Gothic Insanity in "The Black Cat" and "Time and Again": Analyze the insanity of each protagonist. Through compare and contrast, examine each of the following: a) character's actions, b) character's thoughts, c) how other characters react to the character. “The Outsider” by H.P. Lovecraft Assignment: answer questions and do journal entry. Abjection, Alienation in American Gothic Lit. Assignment: "Replacements" by Lisa Tuttle, answer questions, and do journal entry. Assignment: Read The Veldt by Ray Bradbury and do Veldt Assessment. Assignment 1: Watch the PowerPoint on Gothic Literature. Once the PowerPoint opens, click on "Slide Show" on the top tool bar, and then click on "From Beginning" at the far left of the tool bar. Click on the page to transition to the next page. Be sure to take notes. You will be given an open notes quiz on Gothic Literature. Assignment 2: Read Young Goodman Brown by Nathaniel Hawthorne, answer questions, and do journal entry. Assignment 3: Read The Black Cat by Edgar Allan Poe, answer questions, and do journal entry. Assignment 6: Read The Veldt by Ray Bradbury and do Veldt Assessment. Assignment 7: Read Time and Again by D'J Pancake, answer questions, and do journal entry. Choose from: Young Goodman Brown, The Black Cat, The Yellow Wallpaper, or The Outsider and compare and contrast it with one from: The Veldt, Time and Again,or Replacements. 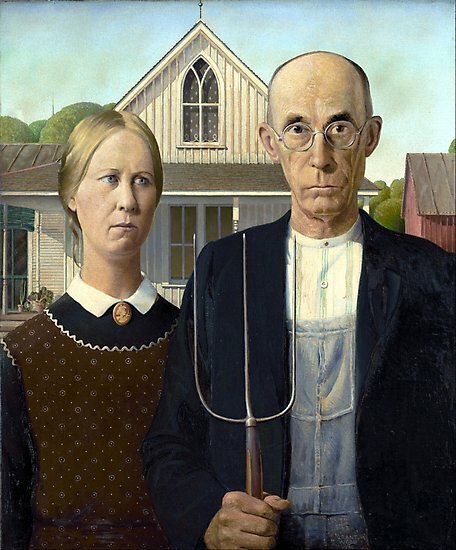 Your compare/contrast should focus on traditional American Gothic literature vs. modern American literature. In particular, you might examine the settings, atmosphere, themes, characters, or madness. 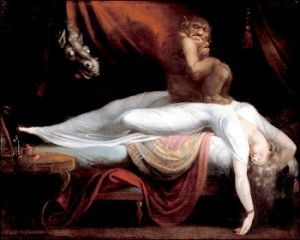 You don't have to write about all of these elements, but choose a topic that is in some ways common to the stories you choose and in some ways different and explain how the commonalities show they are Gothic and the differences show that they are from two separate eras of Gothic fiction. Paper must be typed in MLA format and be approximately 600-800 words long.